Who doesn’t like a little sweet or salty treat after a night of dancing and fun? We certainly do! While we spend a lot of time focusing on the main food courses for the wedding (hors d’eouvres, dinner, wedding cake) we sometimes forget that our guests get hungry and maybe even “hangry” after some drinking and dancing. 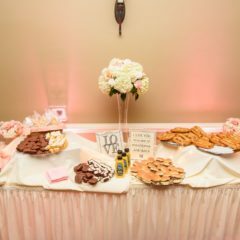 Don’t get me wrong, the hors d’oeuvres for cocktail hour and the main entrée for dinner is SUPER important too, but it’s always nice to treat your guests to a little extra food towards the end of the reception. In this week’s post, we’re going to be showing you all the awesome late-night snacks you could be offering your guests! I personally LOVE popcorn! It’s my favorite late-night snack and even better with lots of butter and toppings. 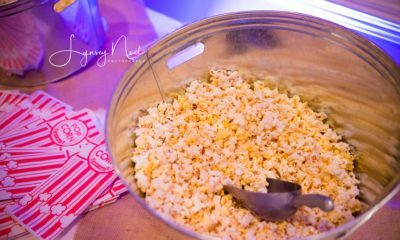 Well, we’re bringing that to your guests with an option of upgrading to our delicious popcorn bar! We bring out an old school popcorn machine that pops fresh popcorn right in front of your guests. Now, you don’t only get popcorn, but you get candy toppings and flavorings to go with it! 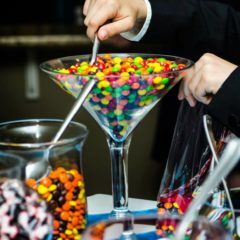 We offer an assortment of candy including chocolate covered raisins, M&Ms, skittles and Kit-Kats as well as flavors including white cheddar, nacho cheese, sea salt, butter and kettle corn. It’s a great interactive station for your guests and will make the entire room smell delicious! Who doesn’t love donuts? These are all the rage right now ESPECIALLY with weddings! 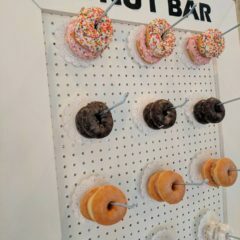 Donuts definitely satisfy that sweet tooth for your guests. 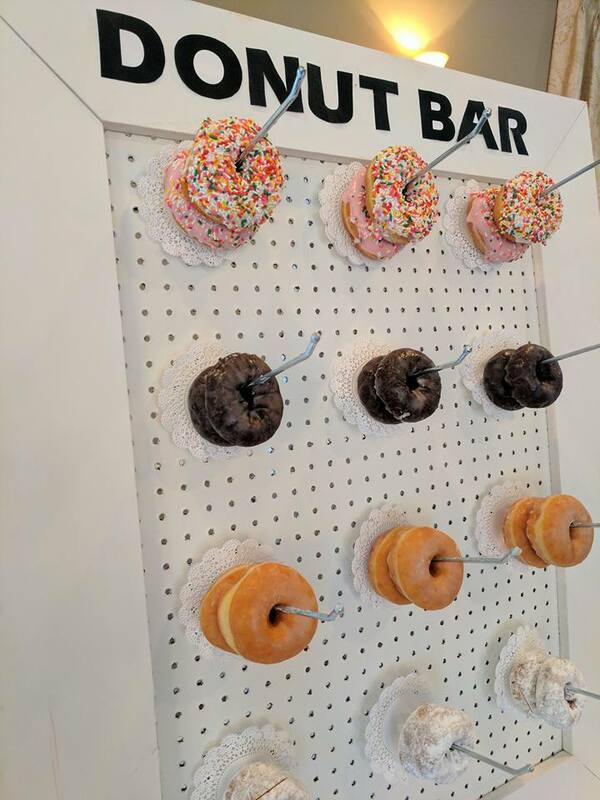 Our donut bar consists of any number of donuts you wish to upgrade from chocolate, glazed, powdered and iced with sprinkles on top. We can even match the icing to the color of your wedding! They’re displayed on a beautiful white wall so your guests can pick exactly which one they’ve been eyeing up. 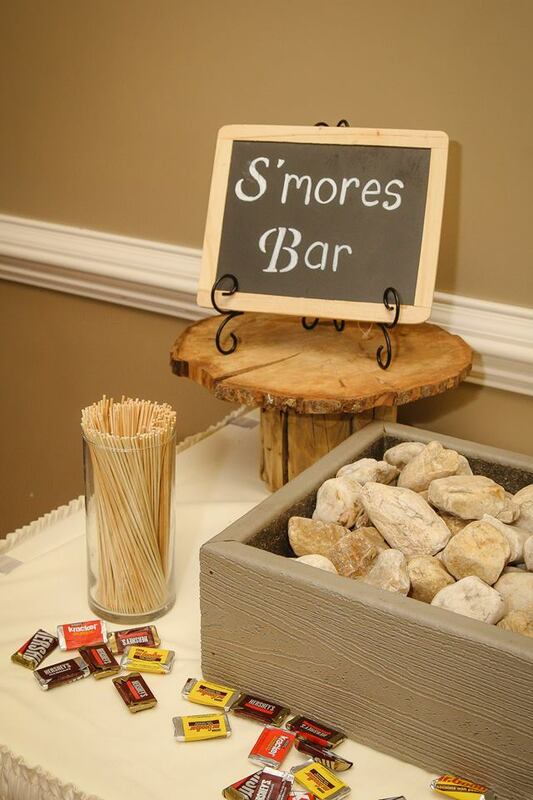 The S’mores bar is extra fun especially for those colder month weddings. 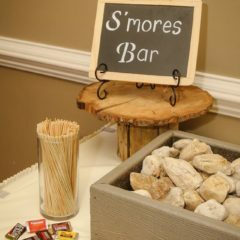 If you’re an outdoorsy couple and enjoy nature overall, then the S’mores bar is perfect for your wedding! We’re bringing the feeling of sitting around the campfire roasting your own marshmallows right inside the Celebrations Ballroom. You’re guests even get to pick what kind of chocolate they want to create their perfect s’more sandwich. It’s definitely a fun and interactive station and something your guests will talk about. The candy buffet is an all-time winner when it comes to late night snacks. 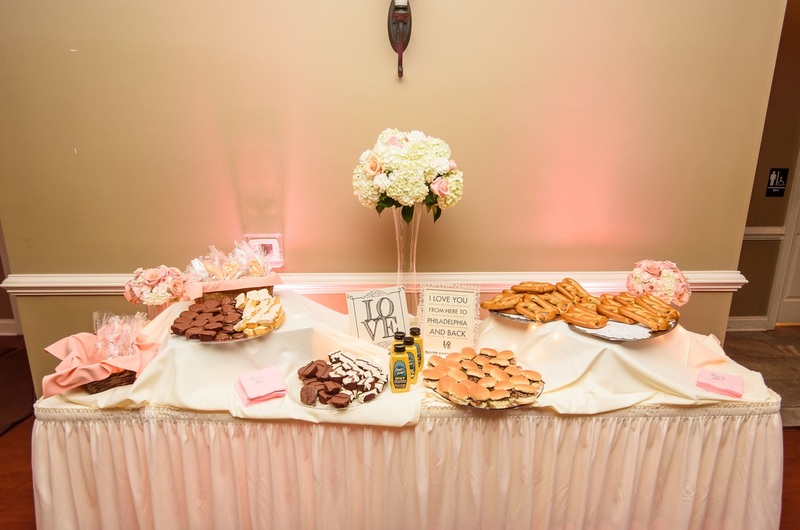 The candy buffet is displayed on our fun serpentine tables with fun jars and scoops for your guests to fill their candy bags with! Our candy options range from skittles, M&Ms, Twizzlers, assorted chocolates, Swedish fish and so much more! We even provide little baggies for your guests to fill up and take home after the reception if they wish. 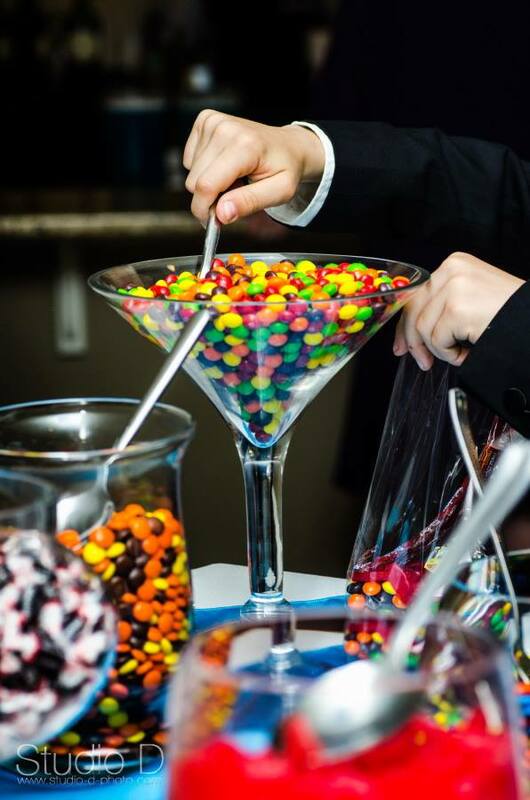 You can never go wrong with our candy buffet so if you’re looking to satisfy a sweet tooth, it’s the way to go. If the late-night snack bars still aren’t quite what you’re looking for, we definitely suggest a send off station. If you’re looking for something a little bit more substantial than our other late-night options, this may be a great option for you! Our send off stations include, but are not limited to jumbo pretzels, hamburger or cheeseburger sliders, chicken fingers, breaded ravioli, or an entire 5-foot hoagie! We can always customize any send off station items as well so if there’s something special you HAVE to have at your wedding, just let us know and we’ll make it happen at Sand Springs!